Thanks to everyone who participated in the Kilt & Keeley Caption Contest (or "Caption Zach," as I've come to call it). Due to the overwhelming number of entries (more than 100!) and their high quality, 5 runners-up were chosen instead of 2, in addition to the grand prize winner. Go check out the results, and then read the comments on the original post to see all the fabulous entries. They are funny and poignant and cute and sassy. "Logan" even took a turn or six to add his snark. Thanks to everyone who entered--the fact that you took the time to put words in Zachary's mouth (or his head) shows how much you care. And how much you ROCK! 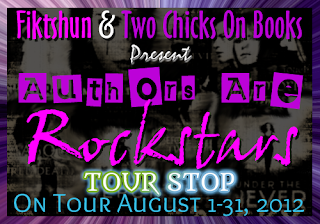 Mary at Bookhounds and Forever YA is hosting me (well, three smart-assed teenage male manifestations of me) as today's stop on the Authors Are Rockstars blog tour. I'm incredibly honored to have been invited to take part. Mary asked some great questions of Logan, Zachary, and Martin, and they hammed it up like crazy (big surprise). Go check it out and enter to win YOUR choice of signed SHADE book! Entry deadline is September 12. While you're at it, follow Logan, Zachary, and Martin on Twitter, and have a look at the SHADEboys tumblr, which right now features daily "analyses" of Community episodes through the eyes of Zach and Logan. This Saturday, August 25, I'll be taking part in one of my favorite events, Bring YA to PA, in West Chester, Pennsylvania. Where: PA Leadership Charter School, University Scholars Advanced Idea Center, 1585 Paoli Pike, West Chester, PA. Map and directions. Books will be sold by Children's Book World in Haverford, PA.
PAYA is also holding a Book Drive to collect books for Pennsylvania libraries, many of which have faced severe budget cutbacks. You can bring your used YA books on the day of the festival. Since obviously most of you don't live near southeastern Pennsylvania, I'd like to give you the opportunity to get a signed book by one of the above authors. Just fill out the form below by 9pm Eastern Friday, August 24. I'll draw the winner's name and purchase the signed, personalized book for you on Saturday. Open to international entries. Please allow 6-8 weeks for delivery. Contest is now closed. Winner of the drawing was Jackie, who won a copy of Jessica Spotswood's Born Wicked. Thanks to everyone who entered! It's not too late to indulge in one last bit of summer reading, and for that, we have our latest Girlfriends Cyber Circuit guest, Elise Allen, whose Populazzi is now out in paperback! One of Justine Magazine's "Chick Lit Picks"
After starting her career in television, ELISE ALLEN has emerged as a vibrant new voice in teen fiction. She is the co-author of Hilary Duff's New York Times Bestseller Elixir, as well as its sequels, Devoted and True. She received an Emmy nomination for her work on the PBS show Dinosaur Train, and fulfilled a lifelong dream when she wrote for the Muppets. She lives in Los Angeles, where she indulges her inexplicable desire to run marathons. 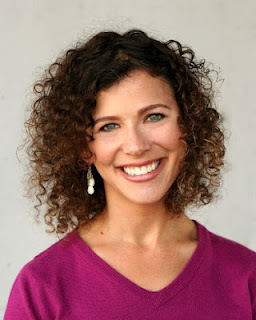 Visit her at www.eliseallen.com, or on Twitter @EliseLAllen. And now, my interview with Elise Allen! There’s an exchange between Cara and Archer from draft one that I enjoy. It’s a little wordy (my draft ones define wordy), and I’m happier with the version that’s in the final book, but I really enjoyed this bit as well. Archer eschewed the regular get-to-know-you questions and asked, “What’s your absolute favorite thing in your room? I thought about it a minute, then decided it was my shell-covered, turtle-shaped, googley-eyed jewelry box. I’d won it playing Skee-Ball at the Atlantic City arcade next to Caesar’s Palace when I was thirteen. It was the first time my parents let me go off to the Boardwalk by myself while they gambled, and coming back with a hard-earned treasure made me feel fiercely independent and accomplished. I asked Archer the same question, and he responded right away. “My grandfather’s telescope. My parents got it for him when he moved from India to live with us. He was a practicing Hindu, and a deep believer in astrology, so actually gazing at the constellations was a huge joy for him. Every night I’d go into his room and sit with him, and he’d show me the stars and tell me stories about how they affect our lives. He said Sagittarius, capa, had a great influence over mine. That’s how I got my name; Sagittarius is the Archer. Archer grinned. “My second-favorite thing is a potato chip that looks like Humphrey Bogart. “Embarrassment.” Poor Cara spends a lot of time trying to avoid embarrassment, and in typical fashion, the more you try to avoid something, often the more you end up running headlong into it. She’d save herself a lot of drama and trauma if she weren’t so afraid of looking like a fool, but that’s a tough reality to embrace. What’s the funniest book-related thing to happen to you in the last year? Yup. I eat similarly bizarro-foods. Fries dipped in chocolate milkshake? Love it. Apples rolled in peanut butter and Cap’n Crunch? Delicious. Bowl of peanut butter stirred with chocolate syrup? Dessert of champions. Dude! (I’m so excited about this one it warrants a “Dude!”) My very first book was a travel guide for marathoners, and I got to travel all over the U.S. for research, including Hawaii, where I got to swim with dolphins (unbelievable), and get surf lessons from the Hawaiian Fire Surf Company. Why is it called Hawaiian Fire? It’s staffed by hot Hawaiian firefighters with a flare for snark. Are you kidding me? It was spectacular. Automobiles. When my significant other is driving, I’m in the passenger seat with my stocking feet up on the dash, and I have control of the radio. I’ve been married 15 years, but I say “significant other” because this has been my favorite mode of travel ever since I had boyfriends who could drive. I believe as a generation, we have the amazing alchemic superpower to turn deep cynicism into bitingly funny comedy. My great-grandmother, Rose Leibowitz. I knew her – she was around until I was ten – but I was too young to recognize the opportunity I had to ask her about her life. Even if I had realized it, she only spoke Yiddish, so I’d have had a tough time understanding what she said. I’d love to bring her back… maybe with a translator… and ask her all about her life. I decided the other day that my reading resolution for the rest of the year is to stop masochistically putting off books I know I'll enjoy. This one is definitely going on the list! 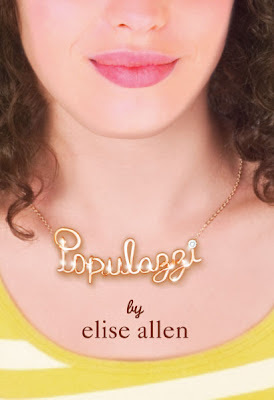 Thanks to Elise for stopping by, and congrats on the release of the POPULAZZI paperback! Thank you so much for taking part! It was a real pleasure to host Jessica Khoury and an excerpt from her upcoming debut YA novel, ORIGIN. I'll announce the winners of the 5 copies of SHADE I'm giving away by the end of the day here in this post. Winners will be notified by email as well. EDITED TO ADD: I'd planned to leave my own bonus material, a teaser from Zachary's upcoming novella, "Shattered," available to read until midnight tonight. But my website was down for a couple hours, so I'll keep it up until midnight tomorrow (Monday). Enjoy!